The SPOT Actuator provides remotely controlled target alignment of a SPOT pyrometer for industrial processing applications, specifically for aluminium applications using the SPOT AL EQS (Aluminium Extrusion, Quench and Strip) pyrometer. The SPOT Actuator is a motorised unit which is designed for use at the billet reheat furnace exit, die entrance and exit and quench exit on aluminium extrusion presses and is capable of operating in automatic or operator controlled modes to suit the needs of an individual aluminium plant. Compact, quick and easily configurable, the SPOT Actuator is designed for mounting the SPOT AL EQS pyrometer onto the billet reheat furnace exit and/or extrusion press entrance face, where the actuator scans the SPOT AL EQS pyrometer along the length of the billet generating a temperature profile. 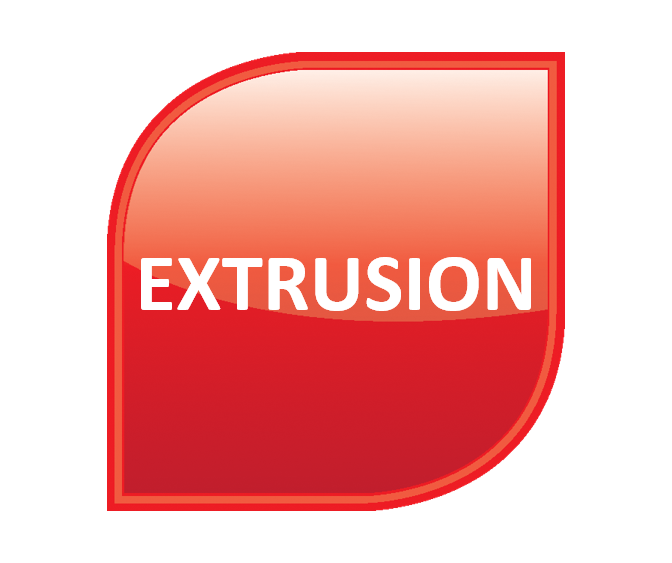 At the next stage of processing, it can be mounted on the press exit or suitable part of the press superstructure in close proximity, looking downwards onto the profile, to target the extruded profile as it appears from the die. 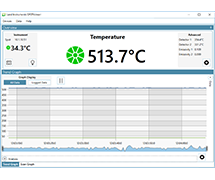 This temperature measurement is typically fed back to the press control system to enable dynamic press speed control. The SPOT Actuator allows for rapid and precise alignment, following die changes, so it can be repositioned on multi-cavity strands or where it maximises the signal strength on narrow sections. It may also be used for alignment at the exit of a quench box or nearby structure to allow for alignment with wandering sections exiting the quench. 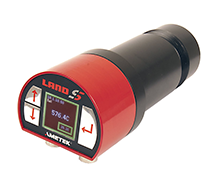 The small and well-defined measurement spot of the pyrometer, combined with its fast 15 ms response speed, facilitates such dynamic tracking. The innovative features of the SPOT Actuator include a hotspot ‘autoscan’ which when triggered causes the device to scan the entire range of movement and then align the SPOT AL EQS with the hottest part of the extrusion. This can be activated either locally by the operator or from an external command; an ‘autoscan’ can be triggered automatically from the PLC upon a die change. 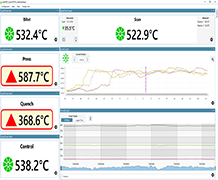 This functionality significantly reduces the challenge of ensuring the alignment of the pyrometer allowing the operator to focus on more critical tasks. 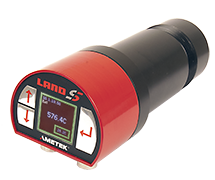 The SPOT Actuator is AMETEK Land's provides remotely controlled target alignment of a SPOT pyrometer for industrial processing applications. 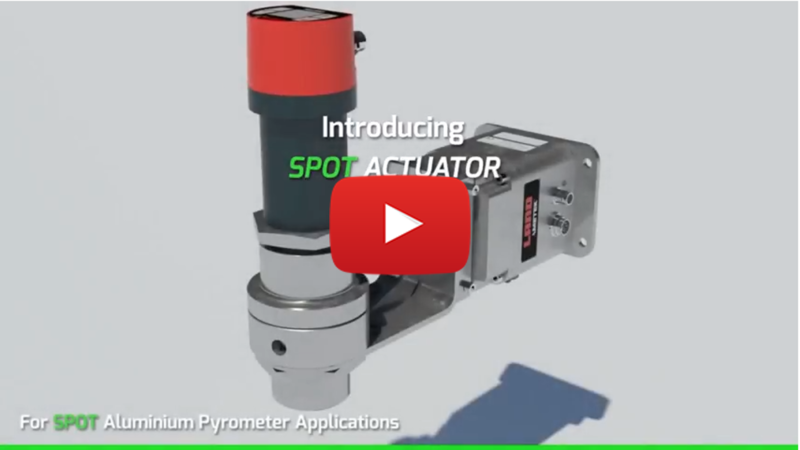 Introducing SPOT Actuator - provides remotely controlled target alignment of a SPOT pyrometer for industrial processing applications, specifically for aluminium applications using the SPOT AL EQS (Aluminium Extrusion, Quench and Strip) pyrometer. 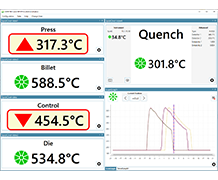 The SPOT AL EQS pyrometer uses pre-set, customisable algorithms to make aluminium temperature measurements throughout the extrusion process. 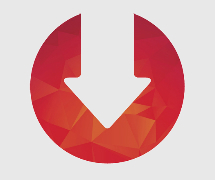 Integrates with control systems, it ensures reliability and minimises scrap. The SPOT AL EQS pyrometer is suitable for critical quench exit measurements, verifying the cooling rate to ensure the correct hardness and tensile strength is maintained in the alloys.